NVR will unregistered the push notification service for the user which didn't login NVR up to 30 days. It will start to send the push notification to the user 5 days before the expiration date. 1. 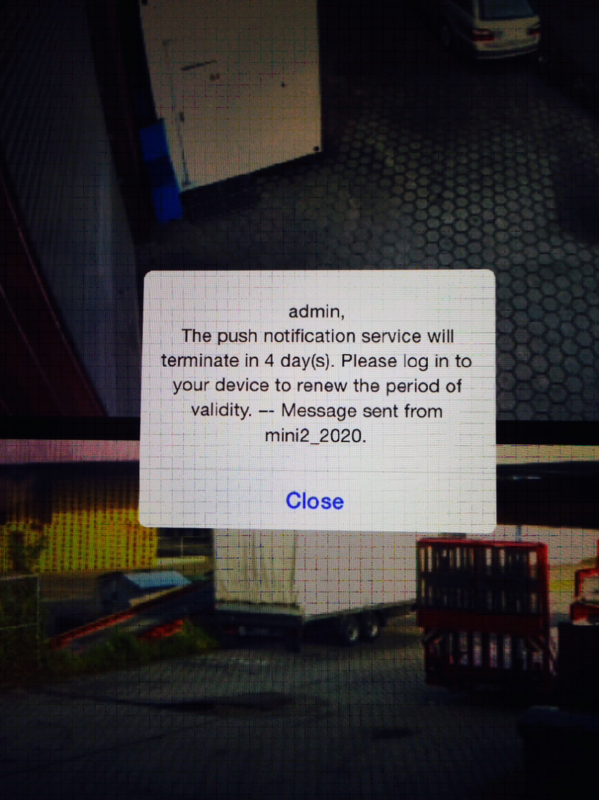 User has to login to NVR through iViewer during the time interval then NVR will not send this message anymore. 2. If you don't want to receive the notification anymore, you can go to Network Setup > Network Service > Push Notification then Uncheck "Mobile inactive Notification". Therefore, the user account session will be saved in NVR temporarily and the "push service will terminate" message will be stopped. 1. Applied to NVRmini2/solo/solo plus in firmware 3.4 and above. 2. These user sessions will not be released until the "Mobile Inactive Notification" was enabled. To utilize the push notification server more efficiently, we recommend users to follow the 1st solution and login the NVR regularly.